These are the pictures that show the birth of the UK recording industry. thee year old French Pathe Company who was the biggest European recording company at the time. 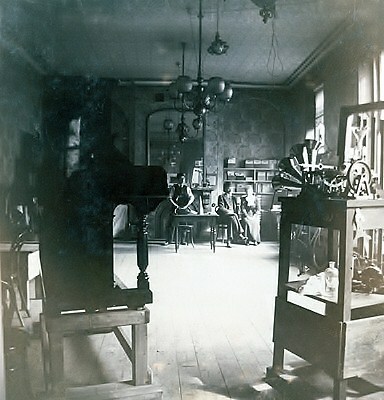 Owen connected with Trevor Williams who was a Lincoln’s Inn solicitor who was enthusiastic about the possibilities of the new technology and raised $5,000 from friends and family to acquire the European rights to Berliner’s Gramophone. Gramophones were to continue to be manufactured in the US and imported to Europe. The new investors insisted, however, that recordings of European popular artists were essential to the company’s success on the continent. 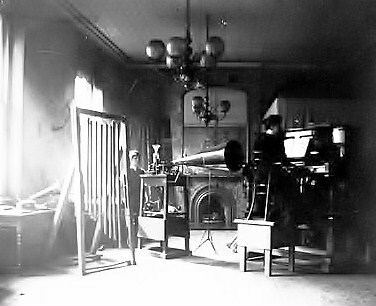 The new company, called simply The Gramophone Company, held its first meeting in April 1898. Owen became Managing Director and Williams was made Chairman. As with most start up businesses, the management were motivated by the fact that they had invested their own money in the company. They decided to order 3.000 gramophone machines and 150,000 records from the States to start the business and requested an American recording expert to be sent over to help them develop the European recording programme. 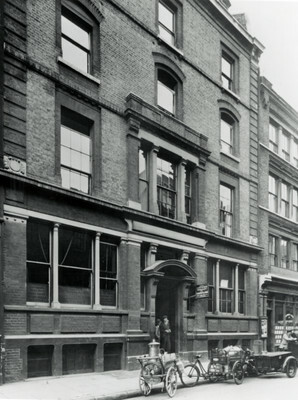 Emile Berliner chose 25 year old Fred Gaisberg to come over to England to set up the recording department which he did in the basement of The Cockburn Hotel 31 Maiden Lane in the late summer of 1898. More photos of this birthplace of the British recording industry have been unearthed by the EMI Archives staff. Clearly the studio was ready! Next stop….find some artists. This entry was posted in 1898, executives, HISTORY OF RECORDED MUSIC, PEOPLE, recording legends and tagged amy williams, emile berliner, fred gaisberg, maiden lane, trevor williams, united states gramophone company, william barry owen by Nipper. Bookmark the permalink.